Valentine and a Freebie - All Things Special Ed. Need a super cute and fun Valentine day box for yourself or one of you little kids? My boys needed to make a box for their Valentine's day party that is coming up and Minions was what they wanted! 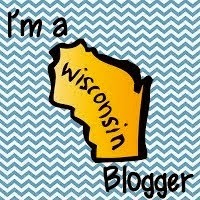 So Pinterest it was to find some ideas!! 1. Find a box- I left the top wide open and decided not to make a slit so the kids could have easy access to their treats and cards. 3. Add blue overalls, mouth, black strip for band of glasses and add hair if your Minion has any! We have Kevin on the left and Bob with his teddy on the right. 4. Make eyes/goggles. I cut out the bottom of a paper cup so my eyes had some dimension and then covered it in tin foil. 5. Next I needed to put white paper inside the goggles for the eyes and low and behold... my yogurt container was the right fit to trace! Then add black dots for the center of the eyes. 6. Glue eyes on and Voila - finished!! 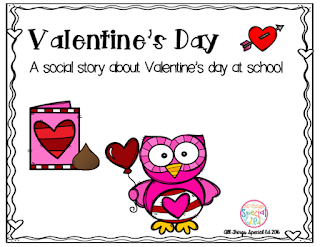 And now for a freebie--- download a copy of my Valentine's Day at School Social Story in my TPT store!